If you previously have jailbroken tethered, you can run greenspois0n on top of it and become untethered. A clean restore is always recommended before jailbreaking but not necessary. If you used Monte, you must restore first. If Cydia does not install from the Loader, you can use redsn0w to install it (don't use Monte). Use TinyUmbrella to preserve your baseband on iPhone 4. 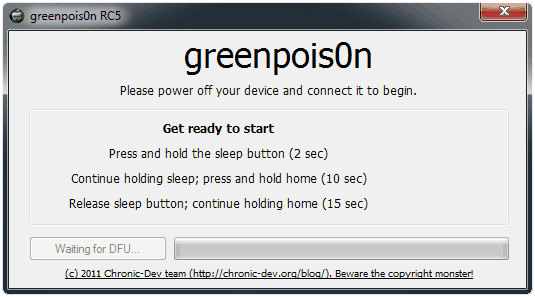 Turn off your device and launch greenpois0n. Click Prepare to Jailbreak (DFU). 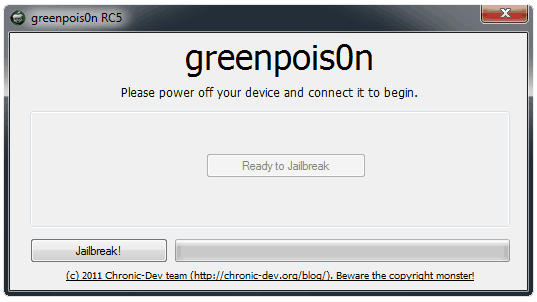 Greenpois0n will guide you to put your device in DFU mode for the jailbreak. Now just click Jailbreak! and let greenpois0n run. Quit greenpois0n. Your device should reboot untethered. Like always Boss....Thanks for the guides!! and the phone said: reboot device, it reboot the phone but he need to run again the redsn0w to pull it out of the boot logo. Can you shed some light here please?? Tell me what steps you took to jailbreak and which programs you ran please. I've tested this and it works fine. I think I'm using one of those 2 unthetered!! but how could we remove the greenpois0n logo and get back the apple logo when iphone reboot . I don't understand why you are running redsn0w on top of greenpois0n. 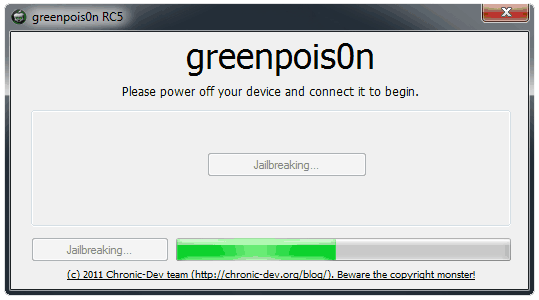 Greenpois0n jailbreaks untethered. Check out Ras's guide in the Guides section on how to change the boot logo. The stock one is still in there. 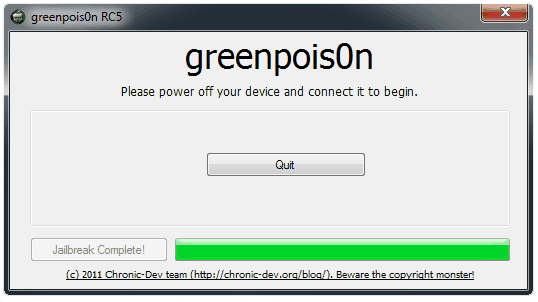 Actually i didn't use it yet , but i guess that the greenpois0n team had solved the bugs in the previous version and release now this one that you can jailbreak your phone without any problem . process again?? If that the case....thanks God his phone is factory unlocked!! The talk about running redsn0w after greenpois0n was only because the greenpois0n website was overloaded with traffic, therefore greenpois0n could not download Cydia from the greepois0n website, thats why you ran redsn0w as that included Cydia. But you only installed Cydia when running redsn0w, nothing else! There were a few reports about missing Cydia icon, but they were usually resolved after a couple of reboots. Don't worry Ras, I already got it!! My friend is happy now!! What was the resolution? Please share! Like you said Boss, was my mistake runing both. I just run greenpois0n and... Voilá!! Jailbreak with the loader to install cydia. Honestly, it was easy with you guide.